Every 40 seconds. That's how often someone in the U.S. suffers from a stroke. For National Stroke Awareness Month, we asked experts to share what everyone needs to know before a stroke strikes. ho do you picture when you think of a typical stroke victim? Someone elderly? Out of shape? Someone who doesn’t look like you? The reality is that strokes can happen to anyone, at any age—even seemingly healthy adults in the prime of their lives. In fact, a study published in the Journal of the American Heart Association found that there's been a sharp increase in the amount of people who've had strokes in the 25 to 44 age group. And regardless of your age, someone has a stroke every 40 seconds in the U.S. Grim stats, for sure—but there's also good news. A lot of it. Up to 80% of strokes can be prevented. And thanks to advances in technology and treatment over the last 50 years, strokes—once the third-leading cause of death—dropped to the fifth-leading cause in 2013, according to the Centers for Disease Control and Prevention (CDC). For National Stroke Awareness Month, we spoke to top experts in the stroke field for the scoop on what you need to know—at any age—to help safeguard your health. People sometimes refer to a stroke as a “heart attack in the brain” because, with most strokes, critical blood flow is blocked, causing oxygen deprivation that kills brain cells. But not all strokes are the same. There are actually two different types: Ischemic strokes, which make up 87% of all cases in the U.S., are caused by a blocked blood vessel to the brain, while hemorrhagic strokes occur when blood seeps into the brain due to either a leaking aneurysm or a weakened blood vessel. 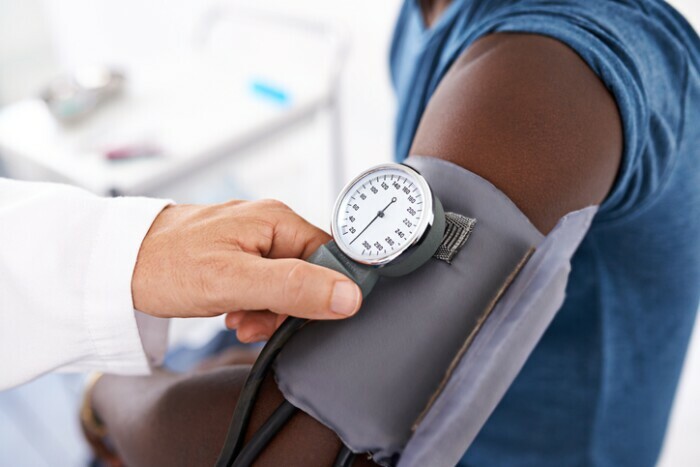 High blood pressure: This is the leading cause of stroke—and also the most controllable risk factor. Diabetes: Not only does having diabetes raise your risk for a stroke, but if you also have high blood pressure, high blood cholesterol or are overweight, your risk increases even more. Smoking: The nicotine and carbon monoxide in cigarette smoke damages the cardiovascular system, which can increase your chances of having a stroke. Atrial fibrillation (AFib): This heart rhythm disorder increases stroke risks fivefold. If you have AFib, the heart's upper chambers beat incorrectly, which can allow blood to pool and clots to form that can then travel to the brain and cause a stroke. Bottom line: You can help reduce your odds of having a stroke if you take steps to address the key risk factors with your doctor. In many cases, explains Mohammad Shafie, M.D., Ph.D., a neurologist and stroke specialist at UC Irvine Health in Orange, California, even small lifestyle changes—such as fitting in as little as 15 minutes of exercise into your daily routine—have the potential to make a big difference in reducing your stroke risk. The American Heart Association/American Stroke Association (AHA/ASA) recommends learning F.A.S.T., which stands for face drooping, arm weakness, speech difficulty and time to call 911. But while these are some of the most common symptoms, “there are other warning signs—sudden confusion, sudden severe and unexplained headaches, sudden difficulty with vision, sudden dizziness or sudden numbness on one side of the body—that need to be immediately checked out,” says Dr. Shafie. And even if symptoms only last an hour or two and seemingly get better, it's important to seek immediate medical help. 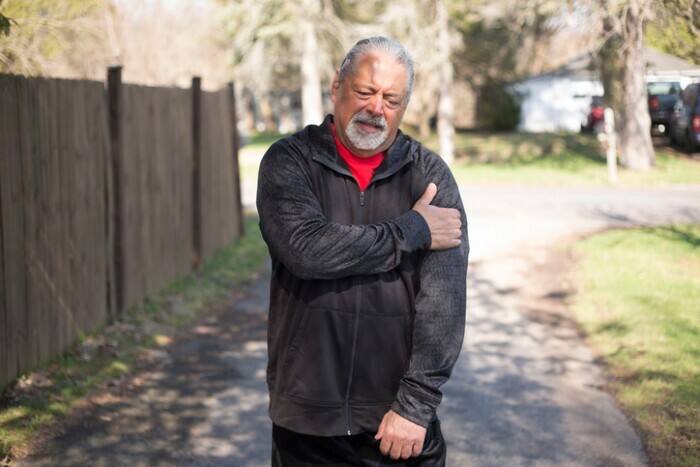 You could have suffered a “transient ischemic attack” (TIA)—what some people call a “ministroke”—which occurs when blood flow to the brain is temporarily blocked for a short time, then spontaneously restored, leading to the resolution of symptoms. According to a 2017 survey from the American Heart Association/American Stroke Association, while roughly one in three American adults experienced a symptom consistent with stroke, only 3% took immediate action, such as calling 911. Another common expression about stroke: “time is brain,” meaning that brain damage begins to happen very quickly so taking action immediately is critical if you even slightly suspect that you or someone you love is having a stroke. 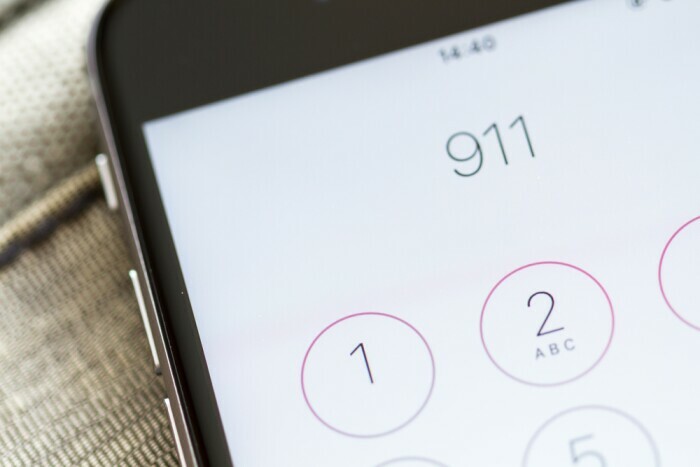 According to a 2017 survey from the AHA/ASA, while roughly one in three American adults experienced a symptom consistent with stroke, only 3% took immediate action, such as calling 911. And calling 911 is the right choice—experts agree that driving yourself or someone else to the hospital isn't advisable. “When you call 911 and describe your symptoms, upon recognizing you may be having a stroke, paramedics in most areas of the country will automatically take you to the nearest designated stroke center, where neurologists, radiologists, neurosurgeons and pharmacists who specialize in dealing with strokes will be able to provide comprehensive care,” explains Dr. Shafie. People who live in less populated areas may not always have access to a nearby stroke center, or their local hospital may lack a neurology department or resident stroke experts. If you or someone you love falls into this camp, find out where you can get the best stroke care should you need it. One option: stroke telemedicine, also called telestroke. Established primary stroke centers at medical facilities like Massachusetts General Hospital in Boston now offer neurologists or physicians with stroke expertise who can remotely analyze test results and evaluate a patient over a video link to help confirm whether or not someone’s had a stroke, so that the hospital can either start treatment or have the patient transferred immediately to a larger hospital. Some hospitals have also unveiled mobile stroke units, which are special ambulances stocked with such essential stroke care tools as a CT scanner that can be wirelessly transmitted to hospital neurologists and medication to treat clots. With a hemorrhagic stroke, a surgeon will need to repair blood vessels, either by placing a tiny clamp at the base of an aneurysm to stop blood flow, or inserting a catheter into an artery in the groin that's guided to the brain. Next, tiny coils are inserted to fill the aneurysm and block its blood flow, causing it to become clotted up and excluded from circulation. In some cases, stents and flow diverters, which essentially wall off the aneurysm from the artery, may be used to help prevent stroke in people who've been diagnosed with aneurysms. With an ischemic stroke, the standard of emergency treatment for certain people has been an injection of medication that can restore blood flow by dissolving the blood clot. After the start of a stroke, the drug has to be given within a therapeutic time window of between three and four and a half hours in a selected group of patients, says Dr. Shafie. In some circumstances, if the blockage is very large and/or if it’s been longer than the therapeutic time window, you may also be a candidate for a thrombectomy, a procedure that involves inserting something called a "stent retriever" into your artery to remove the life-threatening blood clot. 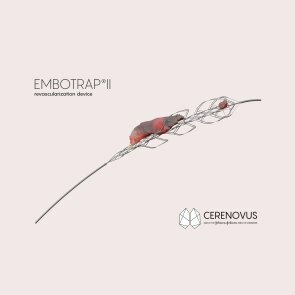 One new thrombectomy innovation, explains Gilvarry, is the EmboTrap® II (shown right), a next generation stent retriever from Cerenovus with a unique design that grips the clot with minimal compression, protecting against further complications. In addition to new surgical devices, there have also been changes to the guidelines for performing thrombectomies. Until recently, the surgery was only effective if performed within six hours from the onset of stroke symptoms. 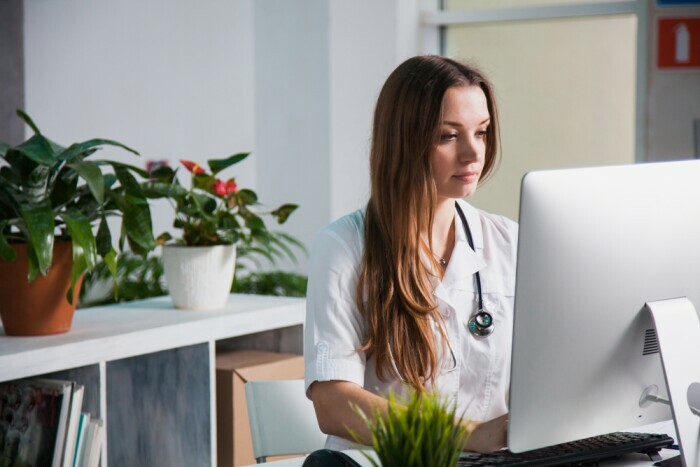 But new recommendations released this past January by the AHA/ASA indicate that, in some cases, some patients may benefit from having the procedure even up to 24 hours after suffering a stroke. These advancements in care are very encouraging, but there's also one simple thing you can do in the event of a stroke, adds Dr. Shafie: "Call 911 immediately." Want to Learn More About the AFib-Stroke Connection? Check out this online resource that can help answer your questions.